Volvo XC90 Performance, Engine, Ride, Handling | What Car? 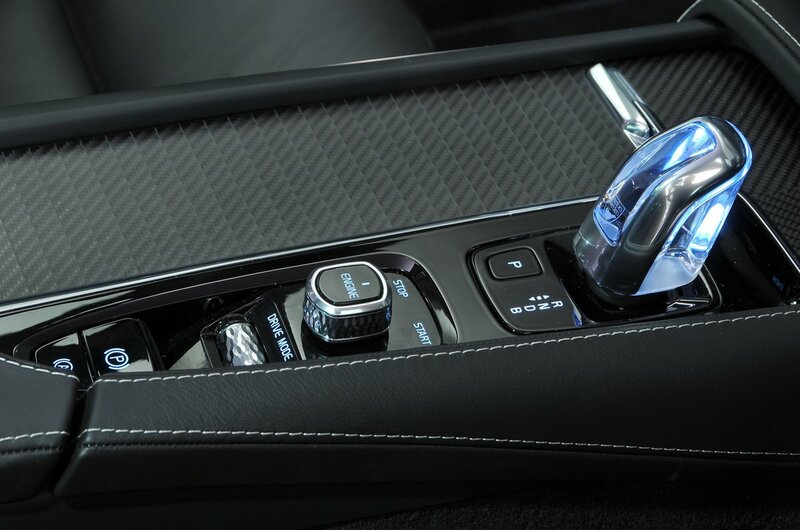 All XC90s come with an eight-speed automatic gearbox that can feel a little hesitant when you want a quick burst of acceleration off the line, but it's generally smooth thereafter. The D5 diesel delivers decent low-down pull and has a reasonably broad power band that makes it a relaxed performer. It'll hit 0-62mph in a claimed 7.8sec, but that's no match for the punchier performance offered by the XC90’s rivals with bigger diesel engine options – the Audi Q7 3.0 TDI and BMW X5 30d, for example. Then there are the petrols. Both the turbocharged T5, and to a lesser extent the turbocharged and supercharged T6, need to be worked harder than the diesel because they generate their peak torque at higher revs. But, flat out, the T5 is brisk enough, getting from 0-62mph in 7.9sec, while the T6 will manage the same in a quick 6.5sec. 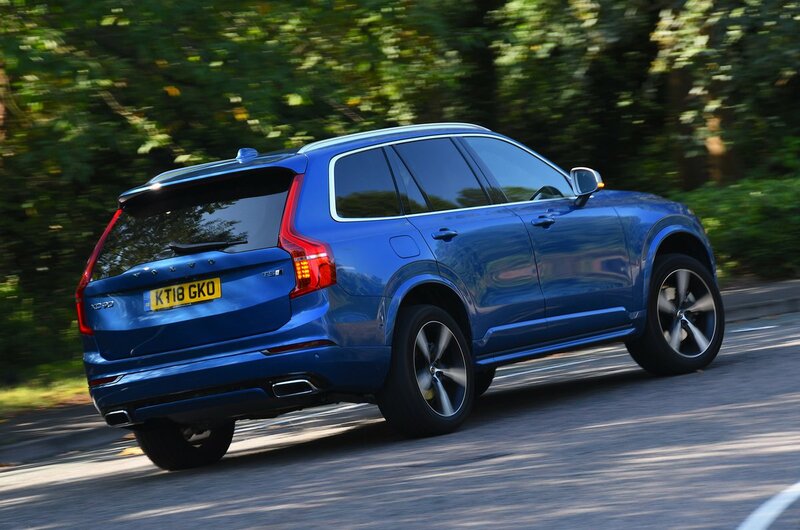 Meanwhile, the T8 hybrid’s combination of a petrol engine and electric motor makes it properly quick and easily the fastest XC90 of the lot, racing from 0-62mph in just 5.8sec. It shoots away from a standstill with some urgency and follows up with enough surge for easy overtaking at faster speeds. The T8 also has a similar electric-only range to other plug-in hybrid versions of its rivals, such as the Range Rover Sport and Porsche Cayenne. In our tests, we managed to travel 17.6 miles in real-world driving using only electric power from a full charge before the petrol engine kicked in. A Cayenne E-Hybrid is much quicker than the XC90 T8, but the Volvo will outpace a Range Rover Sport P400e. At low speeds on the standard passive suspension, the XC90 tends to pick up on cracks, bumps and expansion joints a fair bit more than its standout rivals the Q7 and Land Rover Discovery. However, the ride becomes smoother at higher speeds, allowing the big Volvo to settle into a comfortable motorway cruiser. The optional air suspension costs quite a bit extra. While it offers better absorbency over large lumps, such as sleeping policemen, it doesn't improve the ride to any noticeable degree on patched-up city streets – you still feel a harsh thud when you strike something sharp-edged – so we’d save the expense and stick to the standard set-up. Meanwhile, the T8, despite the increased weight from its heavy batteries, manages to remain as comfortable as the rest of the XC90s. Whichever model you choose, though, we’d suggest going for the smallest wheels possible. Essentially, the smaller the wheel, the better your XC90 will ride, so stick to 19in wheels where possible and avoid the vast optional 22in ones at all costs. The XC90 can’t match the sportier X5 and Cayenne for outright handling finesse, but it’s a slightly wieldier beast than the Q7 and much sharper to drive than the wallowy Discovery. There isn’t much feedback through the steering wheel, and the steering can feel a little light off centre, but as the weight builds through a corner with each degree of added lock, it instils confidence and delivers the precision you need to follow your chosen line. And while you’re unlikely to tackle a series of B-roads just for the hell of it in the XC90, it’s good to know that body control is impressive with either suspension option (standard passive springs or optional air suspension). For such a tall car, the Volvo stays pretty level through turns, with good stability over peaks and troughs in the road. Corner with spirit and you’ll also discover decent reserves of grip, while the standard four-wheel drive system gives you largely unflappable traction off the line. The exception is the T8 hybrid model. It has a greater tendency to sway about in bends, due to the weight of those heavy batteries that power the electric motor. Running on electric power alone, the T8 is the quietest XC90 of the lot when pootling around town. Push on a bit harder, though, and you’ll notice the petrol engine kick in, but even then it’s still far from unrefined. The T5 and T6 are much the same: quiet at low speeds, but make themselves known as the revs rise without ever sounding rough. The diesel D5 makes the most noise at all speeds but mainly at idle, and sends more vibration back through the controls. Yet, comparing it against rivals with similar four-cylinder engines, it’s still an impressively smooth motor. It’s only when judged alongside the ultra-refined 3.0-litre V6 diesels in either the Discovery or Q7 that you'd think it a little clattery. Wind noise is relatively well suppressed in the XC90, but road roar from the tyres is nowhere near as hushed as the Discovery or Q7. Suspension noise is also an issue – something you’re aware of most at low speeds and in cars with larger alloy wheels.